Every year under to 4 million cholera cases are reported across the globe. 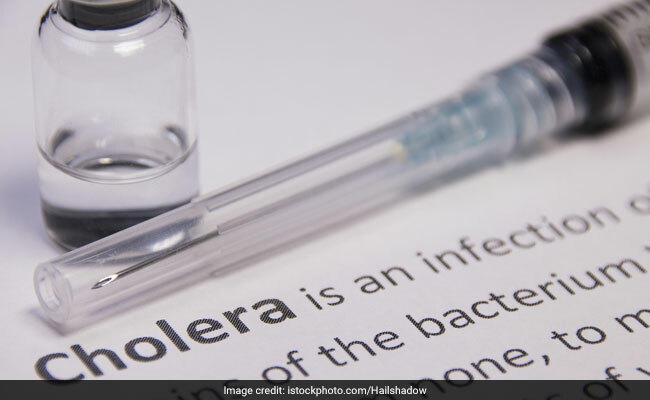 Cholera outbreaks have now been surfacing in different parts of the country with one of the fresh cases reported in Kerala. The World Health Organisation describes cholera as an "acute diarrheal disease that can kill within hours if left untreated." Cholera is commonly triggered due to the consumption of food items or water infected by the vibrio cholera bacteria. Since water is one of the most common carriers of bacteria and viruses, the unavailability of clean drinking water often gives rise to such diseases. One of the studies published earlier this year suggested a spurt in cholera outbreak in endemic countries as a result of unboiled water consumption. According to a PTI report, "living with others who had diarrhea and having little or no education was also associated with an increased risk of cholera. Drinking stored rainwater, eating cooked seafood or steamed vegetables were protective against the disease". Every year under to 4 million cholera cases are reported across the globe, killing around 21,000 to 143,000 people globally. While most cases are easily cured with the help of proper medication and oral rehydration remedy, severe cases are administered antibiotics and intravenous fluids. It takes 12 hours to 5 days for the symptoms to surface. Some of the most common signs include dehydration, abdominal cramps and loose diarrhea. People suffering from V. cholera may not show any symptoms at all. Cholera is primarily a water-borne ailment, therefore the availability of clean drinking water and proper hygiene and sanitation are crucial for the maintenance of good health. Cholera drives huge amounts of fluids out of the body. It is imperative to make up for the loss of fluid and avoid dehydration. All natural fluids and naturally fluid-loaded fruits and veggies must be included in the diet. Make sure that the food is super easy to digest, light on stomach and devoid of any oil or spice. Coconut water or barley water are some of the preliminary items to start with. Once the feeling of nausea and vomiting subsides, buttermilk can be added to the diet followed by semi-solid food items like rice, curd, soups, broths et cetera. Fermented foods, vitamin c and items like vinegar, lemon juice, mint leaves should be included in daily diet to offset the risk of developing viral and bacterial ailments. Herbs like neem and tulsi can be consumed daily to up your immunity, strengthen body's defense and ward off diseases.